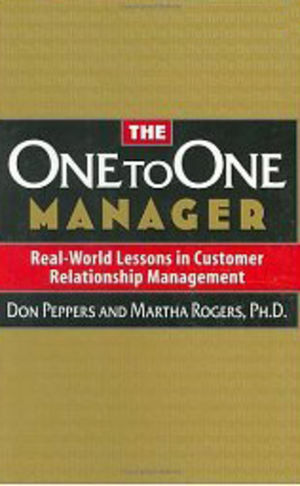 In The One to One Manager Don Peppers and Martha Rogers go behind the scenes to report on the challenges and solutions discovered by managers leading one-to-one efforts at organizations such as Xerox, British Airways, General Electric, Oracle, First Union, Hewlett-Packard and Levi-Strauss. They examine the day-to-day issues involved in setting up and running one-to-one initiatives through a series of inspiring interviews with executives on the front lines of the one-to-one revolution. The One to One Manager introduces you to the ground-breakers, the pathfinders, the explorers of a vast and rapidly expanding new universe of customer-focused business strategies. Don Peppers and Martha Rogers are globally respected thought leaders, futurists and management consultants. They are founding partners of the Peppers and Rogers Group, the pre-eminent customer-relationship management consulting and training firm.